Nick Young is well-known and loved for his entertaining interviews, fashion choices and affable “Swaggy P” personality. But according to TMZ, Young has found himself in trouble with the law. Young was reportedly arrested on Friday after being stopped by police for a routine traffic violation. After failing to cooperate with officers on the scene, Young was reportedly arrested for obstructing justice. His vehicle was reportedly impounded, but it is currently unclear what Young’s status is or whether he has been released. 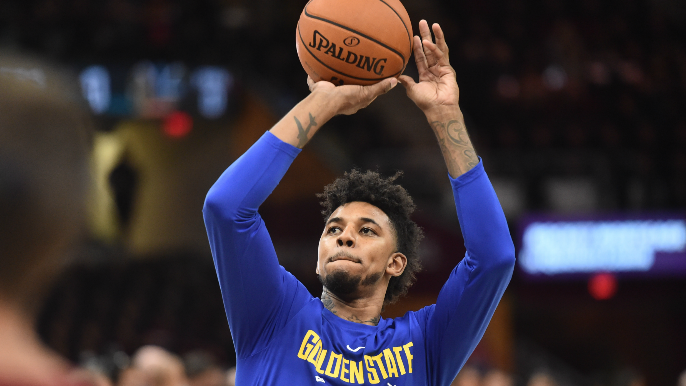 Last summer, Young signed with the Warriors despite questions and concerns about how he would fit in with the team and their style of selfless basketball. While Young was questioned, he had a productive season as a scorer off the bench, scoring 7.3 points per game on 48.1 percent shooting from the field. Young has not yet been signed by any NBA team and remains a free agent.